Discover the luxury of owning a sports car with the Porsche 911 Targa 4S. Browse the showroom and discover all the features available, including functioning front, rear, and dashboard lights. You can even remove the roof for a truly thrilling ride! 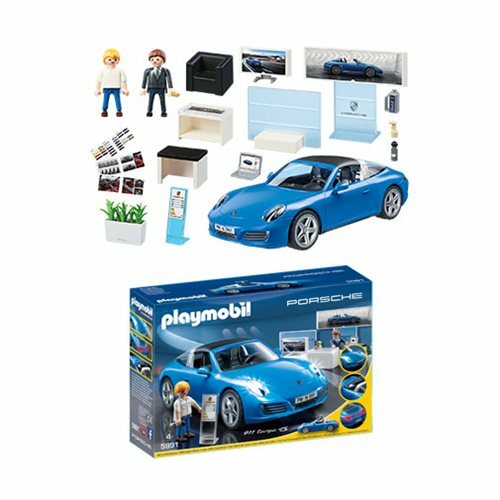 Set includes Porsche, two figures, showroom wall, desk, computer, chair, gas can, LECHUZA planter, and many other accessories. 3 x AAA batteries required. Recommended for ages four years and up. Warning. Choking Hazard. Small parts. Not for children under 3 years.